So, like any other hammock newbie would (or at least should) do, I went to good ole Shug’s YouTube homepage and began watching his 10-part “Hammock Hangin’ How-To” series…and wouldn’t you know it, I found exactly what I was looking for in his first How-To video! The suspension system Shug demonstrated with on his hammock set-up in the very first video consisted of tree straps connected with Dutch Clips, and then a single toggle tied onto each tree strap using a Marlin Spike Hitch knot. Then he simply had Whoopie Slings attached to each end of his hammock (using the fixed eye end). The end of the Whoopie Slings which were not attached to the hammock (the adjustable loop end) simply slipped over the tree straps and rested on top of the Marlin Spike Hitch knot. Simple and done! Immediately, I knew that this set-up was similar to what I wanted. Very little bulk and probably very little weight, very easy to set-up and super-easy to adjust! Now I just had to figure out where to get it all from… And wouldn’t you know it, it was as simple as Googling “Whoopie Slings” and the actual Whoopie Slings site which will supply me with complete suspension systems, as well as a few other things popped right up… Too easy! Unfortunately, the Whoopie Slings store did not carry the Dutch Clips like Shug had in his video, so instead, I opted to go with 2 of the Nano 23 Carabiners by C.A.M.P. USA which would perform the same task. However, as seen in my above video, I opted not to use the biners because once I received them I realized that the Tree Huggers had loops sewn into each end of them (just like the website says…) These loops allow me to simply loop the webbing around the tree and then run one end through the opposite loop, tighten down and done! No other hardware needed, so less weight! So, obviously with the Whoopie Sling set-up, I easily cut out a large part of the bulk that I had with the original suspension system. 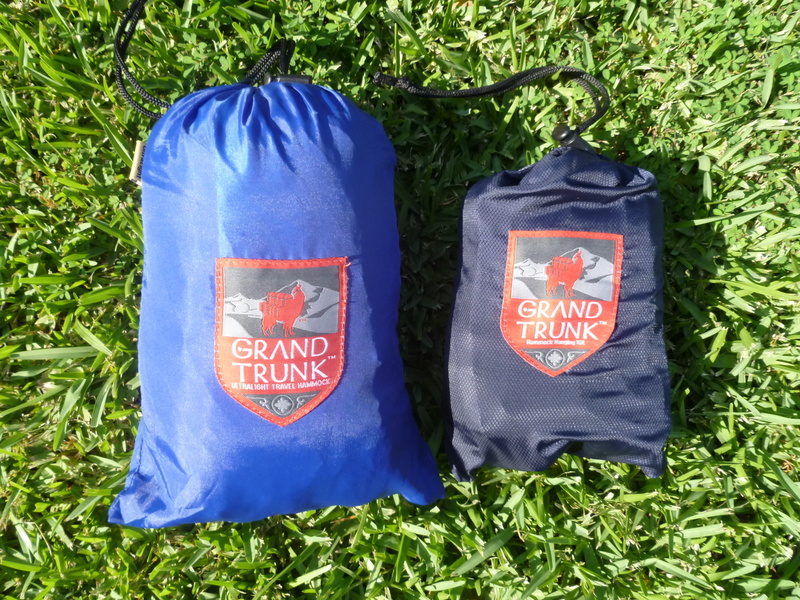 In fact, I cut out the entire bulk of the original suspension system which came in its own stuff sack because now the new suspension system fits easily inside the hammock bag, with the hammock! Of course, I also cut weight with my new Whoopie Sling suspension system too! The hammock alone in its original shape weighed 11.7 oz, plus the suspension system which weighed an additional 7.9 oz, which makes the weight of the original hammock with suspension 19.6 oz. 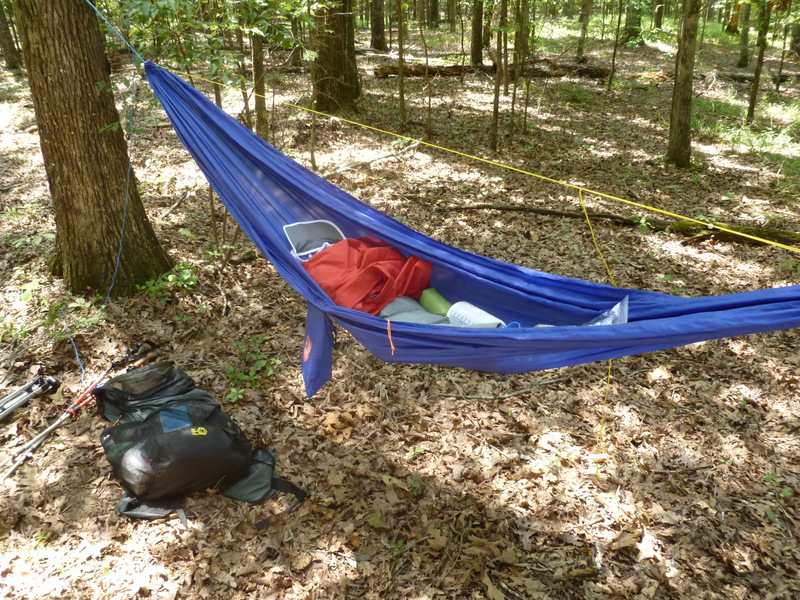 Now, the hammock with the Whoopie Slings installed, the Adjustable Structural Ridgeline and the two Tree Huggers with the toggles weigh in at 14.3 oz! So, this suspension system did in fact save me 5.3 oz! Nice. So, a big 2 thumbs up to Whoopie Slings! And now that you have heard it from me, go check them out and get your own Whoopie Slings! Hey Stick, I’ve never used the Dutch clips, so I don’t know if they serve any use I’m missing out on, but for a zero weight alternative that works to keep you in the air, kust pass the end of your tree strap directly through the loop on the other end, forming the loop around the tree and then proceed as usual.. I never used the Dutch Clips, although, I mentioned them because that is what I saw Shug using in the videos I watched by him. I did just pass the end through the looped end though… it worked, and was lighter. On the rare occasion that I still use a hammock, I still do it this same way, and I actually prefer it this way. 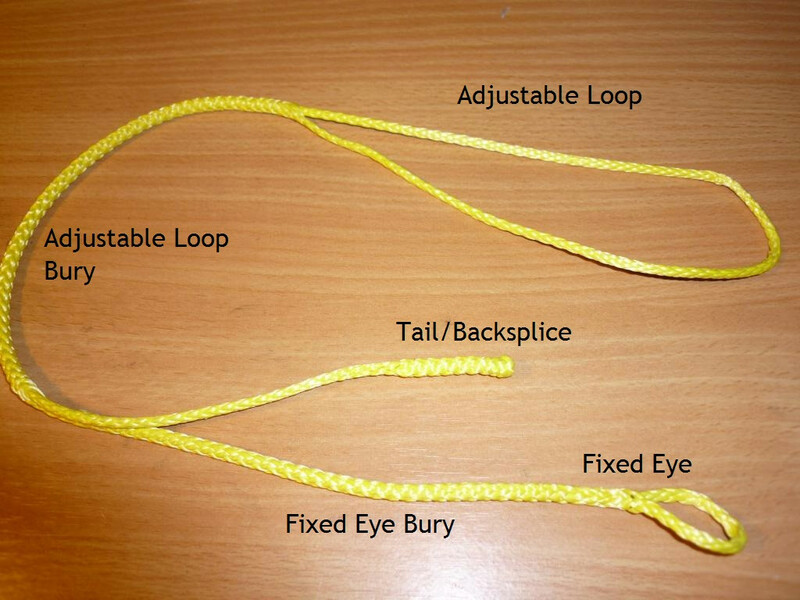 If you haven’t already done this, once you decide how long your ridge line should be, you should tie a slippery half hitch around it with the tail, so that the ridge line can’t slip. 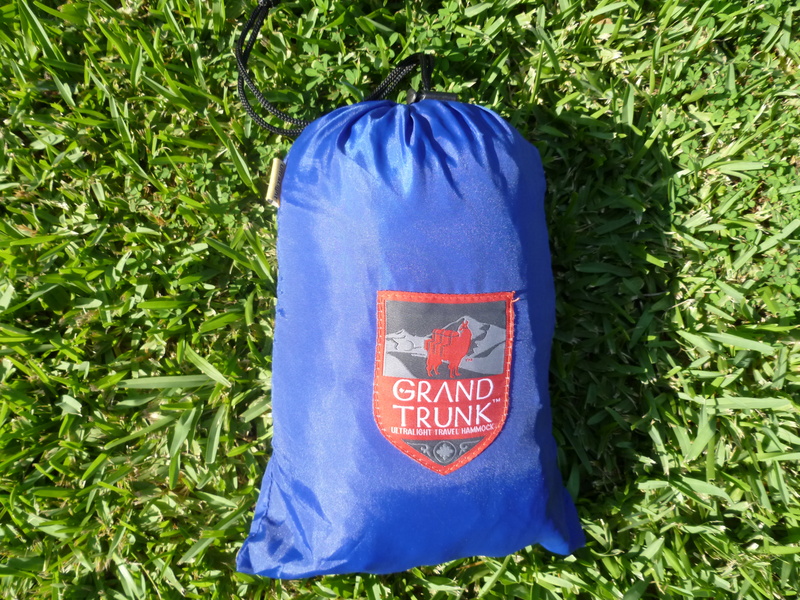 The adjustable ridge line will hold once you have some weight on it, but can slip while you are getting in or out of the hammock. I also put a mark on my ridge line at the correct length with a sharpie, so that I could tell if it had slipped. I just made a mark where the line enters the bury. If it does slip, I know where to adjust it to. It saves a lot of fiddling and the need to have a measuring tape. My ridge line happens to be 106″ long, but yours is probably different. I actually did the same thing with a sharpie. It certainly helps, although, I rarely need to adjust it as it generally stays where I left it. The times that I did have to adjust it is because I was playing with the amount of sag, or using it on a different hammock.